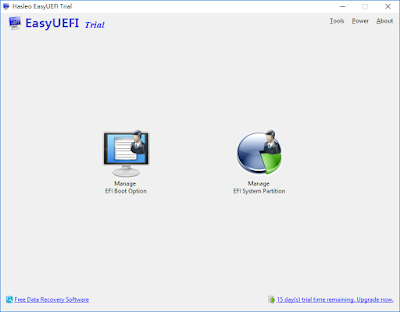 EasyUEFI - Manage EFI/UEFI boot options & Manage EFI System Partitions & Fix EFI/UEFI boot issues the easy way! 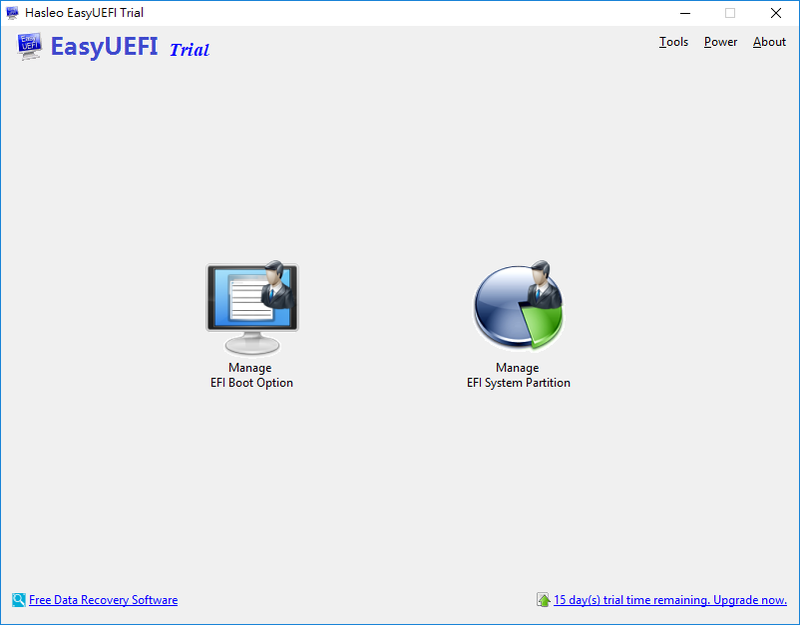 - Comprehensive EFI/UEFI boot option management functions, such as create, delete, edit EFI/UEFI boot options, change EFI/UEFI boot sequence, etc. - Backup, restore, rebuild EFI System Partition (ESP) or move EFI System Partition (ESP) to another drive. - Creation of Windows PE emergency disk.